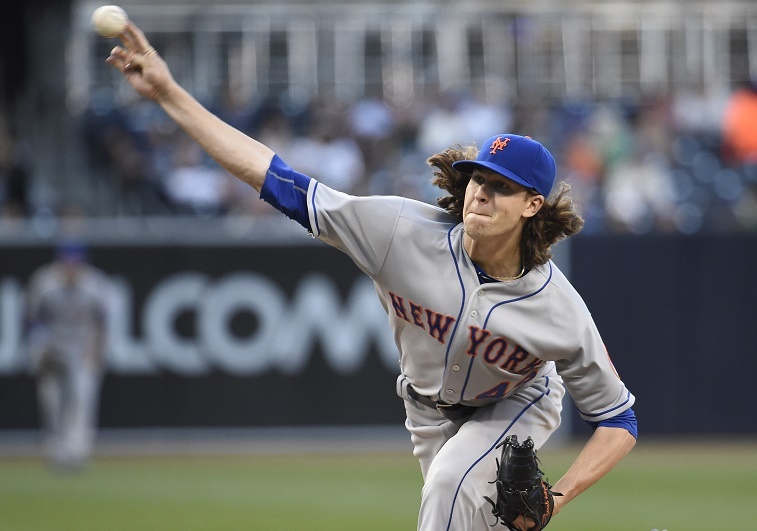 MLB: Is Matt Harvey or Jacob deGrom Best of the Mets? There have been no specially designed Jacob deGrom shirts made in the pitcher’s honor by the Mets in 2015 (he got a garden gnome); he’s had no ESPN specials devoted to his meteoric rise nor a lengthy profile in New York Magazine; he doesn’t have a flashy nickname like The Dark Knight; and you won’t see him in the buff as part of a men’s magazine shoot. Matt Harvey has had all the above (and more) devoted to him, yet we can’t help notice that deGrom, the reigning Rookie of the Year, has become the best pitcher on the New York Mets. 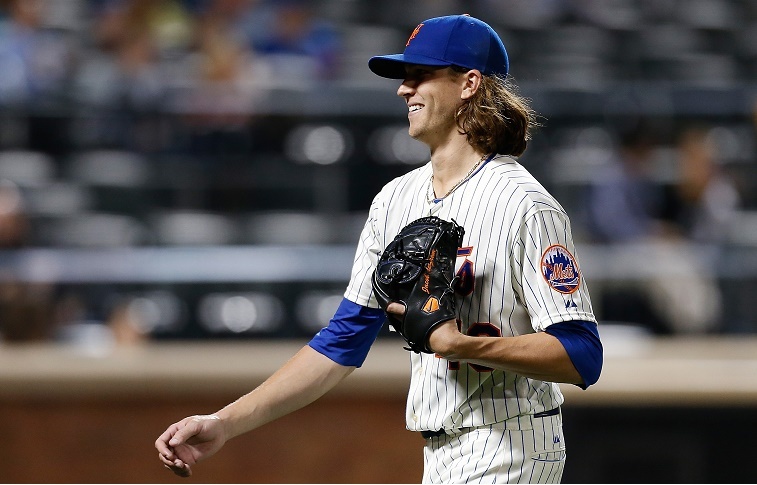 Stylistically, deGrom may be more gnome than knight with his long hair and lanky physique, but his statistics are as gaudy and overwhelming as can be. Following his breakout campaign last season, deGrom has been one of the best pitchers in Major League Baseball in 2015. His 2.15 ERA (sixth), 0.93 WHIP (second), eight wins (tied for fourth), .247 on-base percentage against (second), and .286 slugging percentage against (sixth) all rank among the game’s elite. His 2.8 WAR is second only to Max Scherzer in the National League. Matt Harvey is also having a fine season with seven wins (tied for fifth), 3.18 ERA (28th), 1.01 WHIP (tied for 11th), .266 OBP against (13th), and 1.8 WAR (27th in MLB). Yet starting with his May 23rd start at Pittsburgh (4.0 IP, 7 ER) and ending with his June 10 start versus San Francisco (6.0 IP, 7 ER), Harvey struggled on a level deGrom has not experienced in 2015. In 15 starts, deGrom has only allowed 3 ER or more on three occasions, leaving 12 starts (80%) having allowed 2 ER or fewer. He is averaging 6.2 IP per start. These signs are classic markers of a true ace, and it has come from his ability to adjust on the fly. DeGrom’s defining moment so far in the 2015 season came in his last two April starts, which included his worst outing of the season versus the Yankees. As Kevin Kiernan noted in the New York Post, deGrom has lost the full sinking action on his two-seam fastball, leaving it up in the zone for hitters to crush (as Mark Teixeira did twice that April night). Anyone with a grasp on MLB stats will tell you that wins and losses reflect more on run support and luck than pitcher skill. Though deGrom has had little bit of luck on his side to record eight wins, there is nothing in his stats that suggests he doesn’t deserve every one of them (and more). He is one of baseball’s best pitchers and, all fanfare aside, easily the best toeing the mound for the New York Mets.